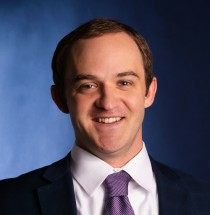 Peter Langdon joined the firm in 2018 as an Associate Attorney. Mr. Langdon focuses his practice on corporate matters, commercial transactions, and employment law. Mr. Langdon received his Bachelor of Arts degree from the University of Nebraska-Lincoln in 2014 where he studied Political Science, History, and English. He earned his Juris Doctorate degree from Creighton University School of Law in 2017. Mr. Langdon is currently pursuing his LL.M. in taxation from Villanova University and will graduate in the fall of 2019. In his free time Mr. Langdon enjoys running, fishing, and cheering on the Nebraska Cornhuskers.